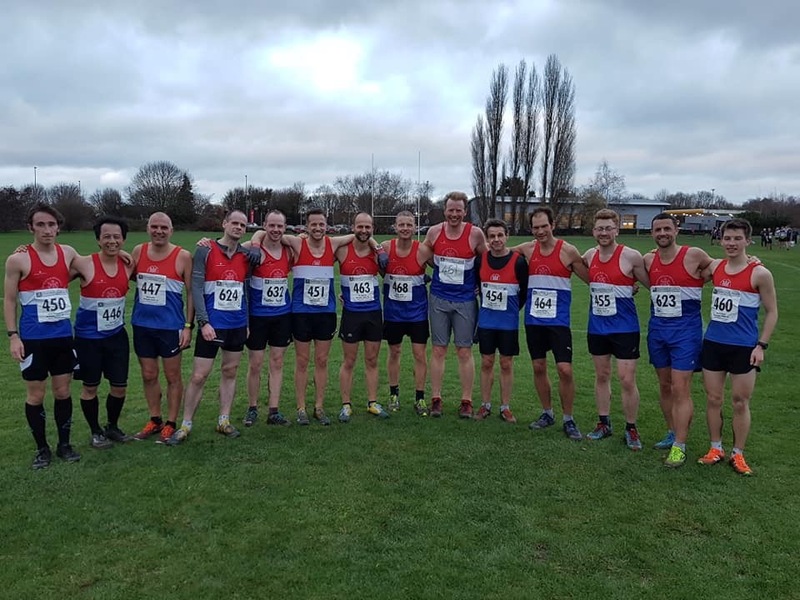 Fourteen U/20, Senior and Masters Men travelled down to Plock Court, Gloucester on Saturday to represent the club in the second fixture in this seasons Birmingham & District Cross Country League. Following our teams third place at the previous fixture we were looking to at least consolidate our place in the promotion positions and hopefully move up the leader board towards top spot. The virtually flat 3 lap course was just short of 6 miles in distance but was definitely muddier in places than recent cross country races have been. 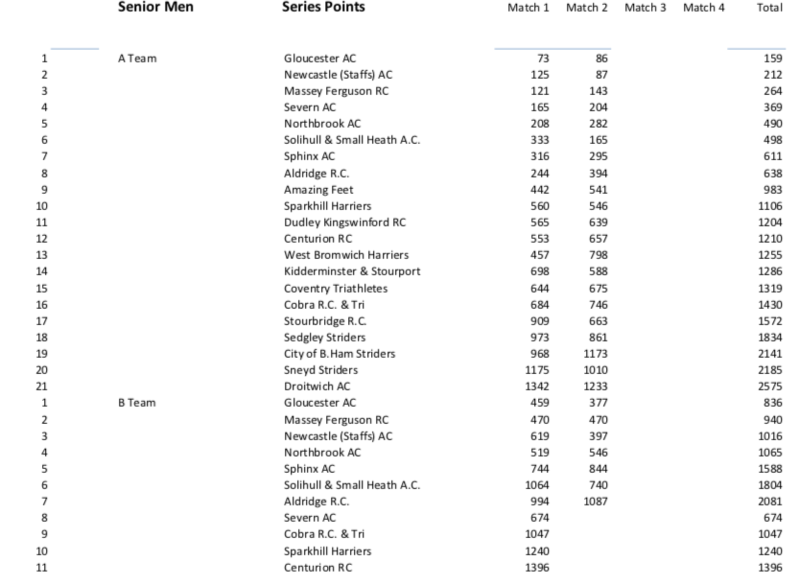 Team 2nd at Plock Court – LtoR. Jacob, Will, Mark, Neil, Matt, Simon, Tim, Andy, Jon, Rob, Jerome, Bruce, Paul and Jordan. Our team were lead home by Jordan Nixon who finished in 8th position (and 3rd Junior Man) in 34:21, Simon Ford was just one place behind in 9th (34:35), Tim Sharman was 11th (34:53), Jacob Droogmans was 13th (and 4th Junior Man), Club debutant Matthew Basnett was 22nd (35:50), with Bruce Johnson in 24th (36:06). Paul Tatler was next in 42nd (37:27) with Andy Walker just 5 seconds behind in 46th (37:32). Rob Haines was 57th (37:58), Neil Gerrity was next in 63rd (38:07), with Jerome Stevens in 68th (38:13). Jon Ranford finished 120th (41:01), Mark Cotton was next in 134th (41:59) and our final finisher was Will Chung who finished in 47:09 for 212th. A great team performance resulted in them finishing 2nd on the day, missing victory by just 1 point! That also meant that the team have moved up into 2nd place overall, just 53 points behind the leaders with 2 fixtures remaining. In the B Team competition we are currently in 3rd place. Congratulations to all our lads and supporters, and especially thank you to Chris Nixon for acting as our official on the day and saving us from a 200 point penalty. We really do need as many Men out as possible at the final two fixtures, everybody welcome! Details can be found HERE nearer the race day.